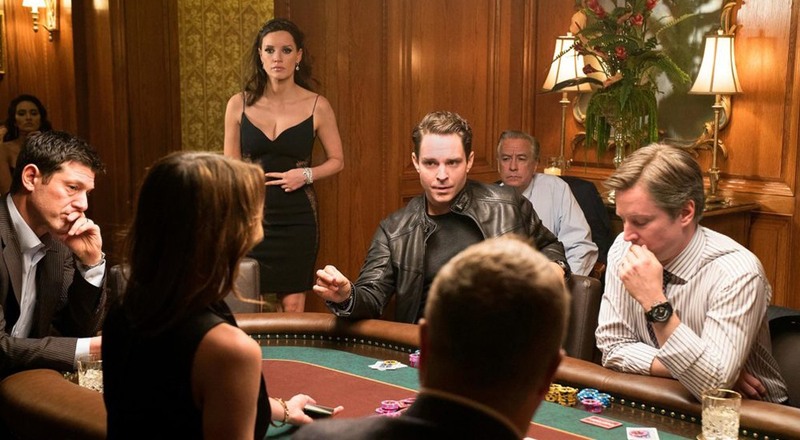 Aaron Sorkin brings his lightning quick, implausibly cool verbiage to his directorial debut, gambling drama Molly’s Game. It’s surprising that Sorkin hasn’t directed to date, such is the confidence of this first outing which draws upon his writing credits Moneyball, The Social Network, and A Few Good Men like a Sorkin best-of album. Jessica Chastain plays Molly, the apple that has fallen far from her father’s Kevin Costner-shaped tree. After a severe injury cuts short a promising career as a pro skier, Molly moves to LA where she falls into high-stakes poker hosting. Molly quickly rises to become a premier LA and New York poker hostess for celebrities, trust fund babies, and billionaires. Unlike most, she runs her games clean. She doesn’t gamble, she doesn’t get paid (she only accepts tips), she doesn’t skim, and she doesn’t break the confidence of the rich and famous men who sit around her table. All goes well for Molly; she’s wealthy, infamous, and powerful, until she unwittingly becomes involved with the Russian Mafia and is subsequently shut down and investigated by the FBI. Fast-forward to the film’s present day and Molly, now broke, must convince Idris Elba’s powerhouse lawyer, Charlie Jaffey, to take her case. The will-she, won’t-she be convicted of a federal crime all rests on Molly’s sense of self dignity – AKA will she dish the dirt on her former anonymous poker guests? To Sorkin’s great credit, as a first time director the movie skips along at a tremendous pace. The style largely matches the dialogue: quick and slick. Fans of Sorkin will revel in his career tropes of witty and lightning-fast verbal exchanges, smart exposition filled narration, and rousing monologues. The movie only really slows down for scenes of Molly’s childhood and her taught relationship with Papa Costner. These scenes can get a little schmaltzy. There’s one present-day scene with Costner and Chastain that’s particularly Hallmark-movie-of-the-week with Costner spouting cereal box psychiatry. Chastain is an absolute powerhouse as Molly, commanding every scene she’s in. It’s a real movie-owning performance. Elba is at his muscular best, in a role that’s hardly a stretch (tough lawyer comes good), but he’s just so damn good with these kind of characters. There is one aspect of the film that’s not entirely successful. At the movie’s heart this is less a gambling drama and more a story about a woman whose life has been defined by overcoming, overbearing men. From her austere father through her sleazy boss, letchy clients, and violent mobsters to the federal prosecutors who would have her broke and imprisoned. This is where the moral of the film gets murky. In today’s climate it’s almost laughable that Sorkin is asking the audience to applaud a woman who refuses to give up the sordid secrets of her powerful male clients. Awkward. It’s a strange dichotomy. On the one hand it’s a joy to watch Molly put countless immoral men in their place, while on the other you question her protecting those very same men from exposure in order to save their families from ridicule. It’s a misplaced logic. 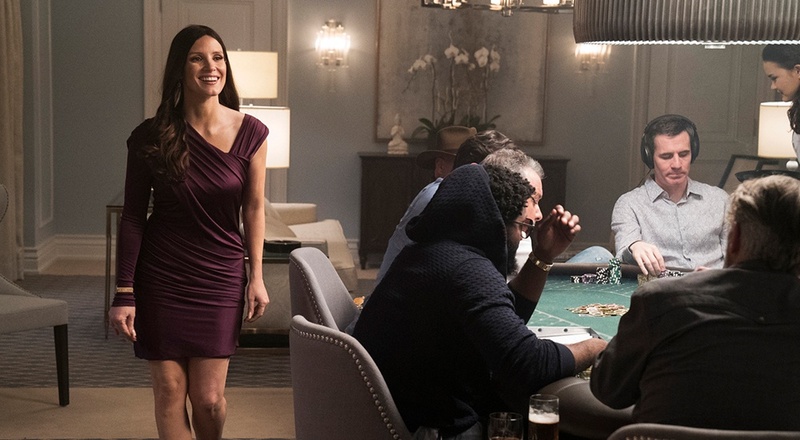 Molly’s Game is a good and enjoyable watch. At its best it’s in Wolf of Wall Street and The Big Short territory, providing a scintillating look into a secret world. Chastain is thoroughly brilliant (seriously, wonderful) and worth the admission alone. But the film’s lacklustre conclusion and ultimately muddled depiction of the male-female power dynamic stops this from being a potential award season home run (perhaps Actress in a Leading Role though). 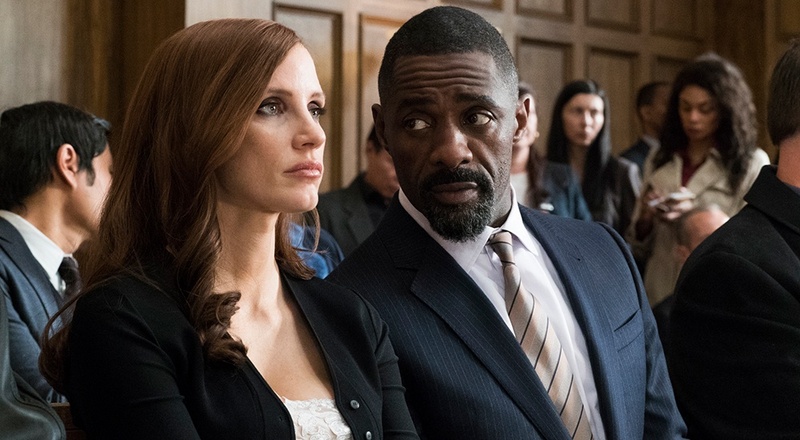 Molly’s Game went on wide release on Friday, January 5.